Prosser, Washington, January 10, 2019 – The Saskatchewan Association of Automotive Repairers (SAAR) , closed out 2018 as the most recent collision repair association to affiliate with the Society of Collision Repair Specialists (SCRS), and the third such association in Canada. The Saskatchewan Association of Automotive Repairers is a non-profit organization of automotive repairers and associated firms whose concerns are the promotion and development of their industry in all its aspects. The association also represents the collision repair industry to the Saskatchewan Government Insurance (SGI) and the public, while also providing programs, training and membership meetings and conferences. “It’s always a tremendous honor to have the ability to formally grow our network of groups interested in advancing the collision repair profession,” added Kye Yeung, SCRS Chairman. “The fact that the work developed by our organization has international appeal, to associations and across our borders, further reinforces the global challenges that face our industry and the hope that lies in addressing those challenges through collaboration and communication. As that network of communication grows, both through added Affiliate Associations and through the addition of individual locations, the stronger the industry becomes as a result. On behalf of the SCRS Board of Directors, we welcome our colleagues in Saskatchewan, and look forward to the good work we can do with one another. If your business is interested in joining the largest national trade association dedicated to representing the collision repair professional, please contact our offices at info@scrs.com. For more information about SCRS, visit our website at www.scrs.com. About SCRS: Through its direct members and 38 affiliate associations, SCRS is comprised of 6,000 collision repair businesses and 58,500 specialized professionals who work with consumers and insurance companies to repair collision-damaged vehicles. 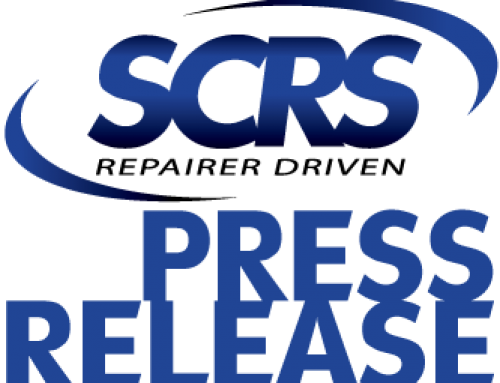 Additional information about SCRS including other news releases is available at the SCRS Web site: www.scrs.com. You can e-mail SCRS at the following address: info@scrs.com.